Many brides are overwhelmed with questions of the tasks ahead of them and do not know where. There is so much to do with so little time! Because not all photographers shoot the same way and may all have different levels of skill and focus, we laid out some of our focuses and frequently asked questions to help you see if we are a good fit for your wedding photography style. By now, you can probably tell that weddings are a passion for us. 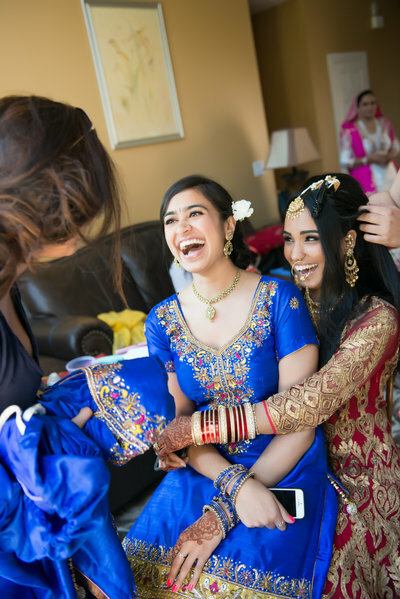 Whether you'll have a traditional, one-day, white dress wedding, a five-day Desi wedding, or a simple non-traditional 2-3 hour wedding, if we are available, we want to hear your story! 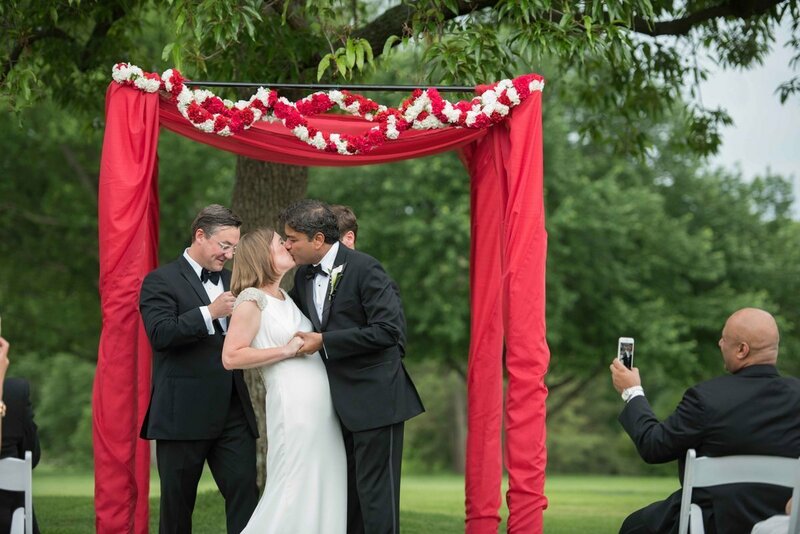 We love to see people come together and set the most important milestone of their lives. Weddings remind us of the vows we made to each other which, in a sense, helps us strengthen our own marriage. We cherish the opportunity to be a part of others' weddings because of it's very nature: it unites two families in love. One of the interesting things about the nature of memory is that virtually all memories are "reconstructed," in the sense that we take bits and pieces that we more vividly remember and use these to reconstruct the bigger picture. We feel that photographing the more easily overlooked details helps you preserve the memories of your wedding day that you and so many others work to make perfect for you. Occasionally we get to see couples after their wedding during their wedding premiere, which is when the bride and groom get to see their pictures after the wedding. 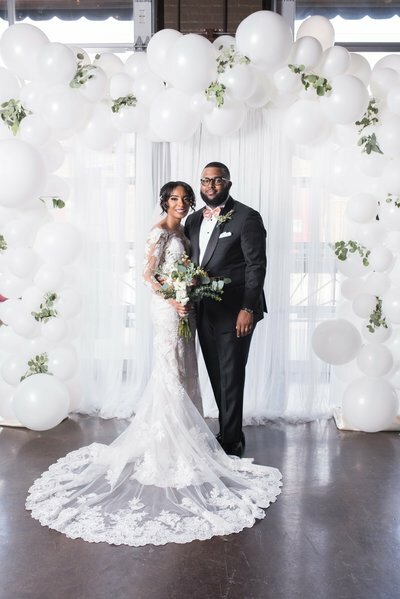 We love seeing couples and their invited family members during their wedding premieres and seeing the tears rolling down their cheeks as they once again see the pictures of a first look, the exchange of vows or a final dance. When we see laughter or tears, we know were at the right place at the right time. We are based in Kansas City, MO. 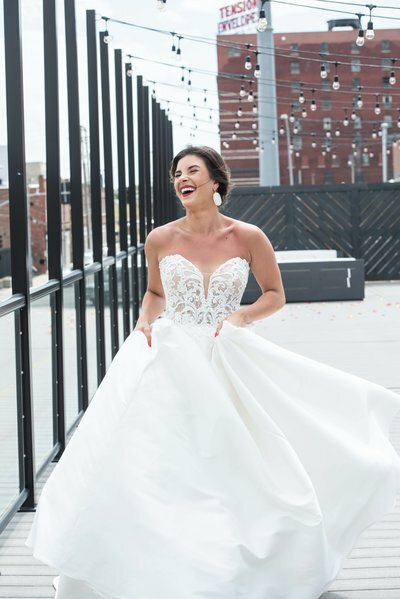 But whether you are looking for pro wedding photographers in Kansas, Missouri or would like to see if we are available to come to another city, state or country for a single-day or a multi-day wedding celebration, if we are available, we'd love to chat! 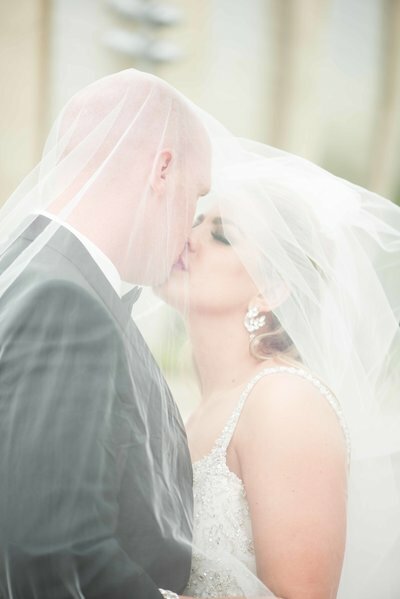 Josh has lived in Russia for two years and Loraine was raised in Puerto Rico, we definitely are not afraid to travel and would love to be part of your wedding if you appreciate the skill we show you here. We have captured weddings in Florida, New Jersey, Chicago, and South Padre Island in TX, and we have even traveled for some engagement sessions in New York and Dallas. 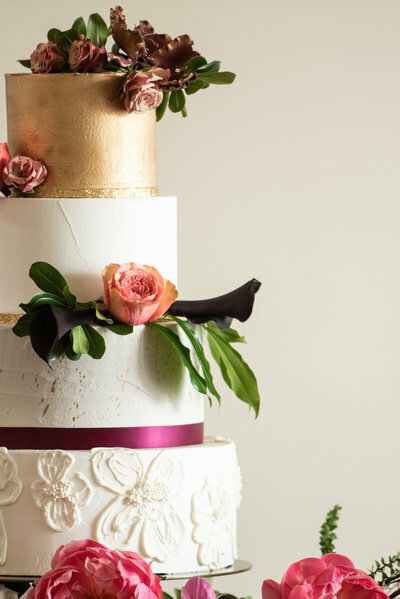 We all want to remember the details that made our weddings unique. 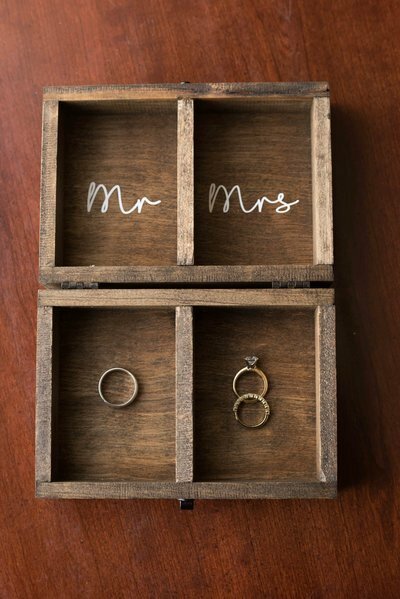 Photographing the things that make your wedding special, like gifts you give to your wedding party or the letters you exchange before the ceremony. We like to meet with our couples either in person or over the phone to find out what is most important to them, what makes them laugh and what makes them cry. We like to find out what were the decorations they stayed up all night designing and which items are most significant to them one way or another. When we meet and you tell us a little more about your story, this helps us paint the picture of your story, the story of your wedding day. It helps us to visualize and solidify the precious memories of the day we are helping you prepare for. 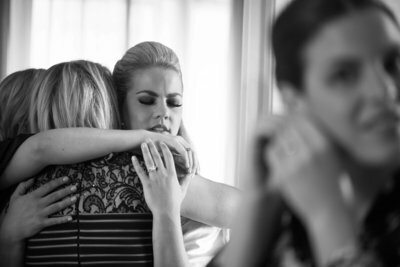 We strive to make our wedding pictures timeless; just as your mutual affection and friendship as spouses will grow with time, we want to create images that stand the test of time. Everyone's made fun of their parents’ dated wedding photos at one time or another, and while we can't predict the future, we like to think that our images aren't the style that your children and future grandchildren will tease. Just like fashion, photography has it's trends, but we're trying to create a style that transcends mode and modernity; something that will make future generations say "Wow. . . grandma and grandpa looked stunning on their wedding day!" HOW FAR IN ADVANCE CAN WE BOOK YOU? Because we limit the amount of weddings we take on each year, we encourage you to ask us about your date as soon as possible! Some dates are more popular than others so it is common that some wedding dates are no longer available. Because demand varies over the years, we would not be able to book over two years in advance. HOW LONG HAVE YOU BEEN IN BUSINESS? Mojica Photography made its debut in the summer of 2009. Since then we have shot hundreds of events and ceremonies and captured memorable moments of the lives of thousands. CAN WE GIVE YOU A LIST OF SPECIFIC SHOTS THAT WE LIKE? We usually like to limit this to just the formal family pictures. In other cases, while we do like to oblige our brides if there is a particular image or general set of images they would like in a particular setting, we feel that trying to copy poses or styles of particular images hampers our own creativity and just feels icky to us. 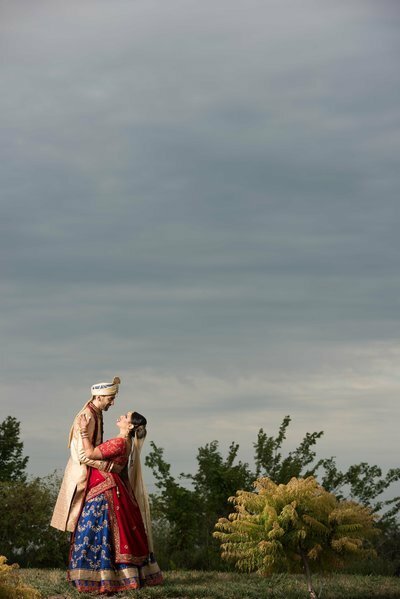 Most of our clients trust us to uniquely capture their wedding once they see our work and get to know us. WHAT TIME DO YOU ARRIVE AT THE SITE ON A WEDDING DAY? but we plan to arrive between 15-30 mins before the arranged time to make sure we set up the reception area before the getting ready pictures even begin. HOW LONG DO YOU SHOOT FOR? That is entirely up to you. 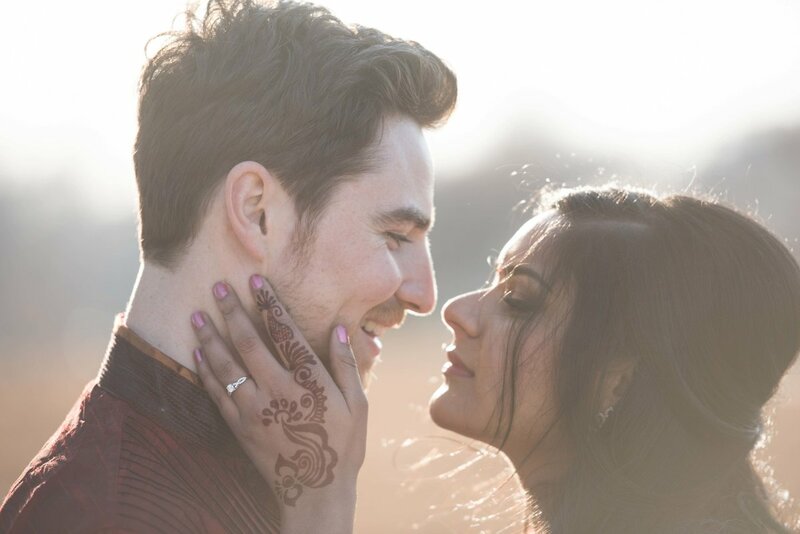 As you may have seen on your wedding site, we shoot a lot of South Asian weddings (Indian, Pakistani, etc) So we are used to shooting for days! For one-day weddings experience has guided us to create packages that start at 8 hours. We also have unlimited packages because we also shoot fusion weddings where we may have two wedding ceremonies captured in one day plus a reception. IF MY EVENT LASTS LONGER THAN EXPECTED, WILL YOU STAY? IS THERE AN ADDITIONAL CHARGE? We will stay. If for some reason the wedding falls excessively behind schedule and we need to stay more than an hour beyond what you contracted us for, there is a fee of $500 for each hour in addition to what we were hired to cover. HOW LONG DOES IT TAKE YOU TO TURN AROUND A WEDDING? Will they be viewable online? 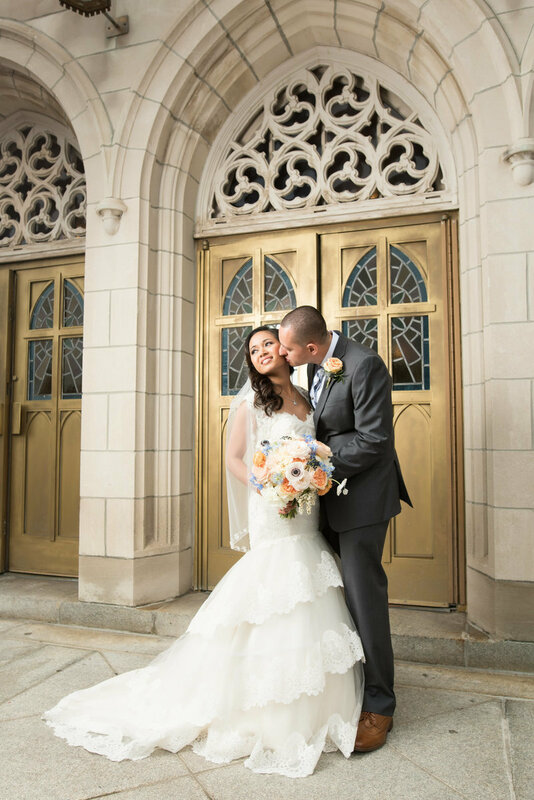 We typically ask for 4-6 weeks to completely retouch and prepare your wedding gallery for one-day events. After the gallery is ready we like to schedule a 'premiere' where we show you your finished wedding photos for the first time. We encourage you to invite family and close friends as well. 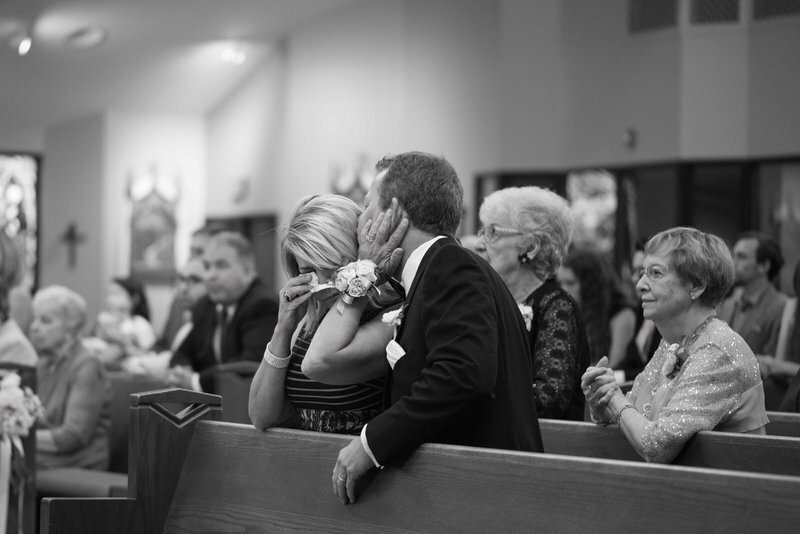 It is often a very special experience for a couples and their families, filled with laughter and some tears as well. If you can't make time for a proper premiere, we simply upload your gallery so you can view, share, and download your images. Our galleries remain online for 10 years from your the time we upload them. HOW MANY WEDDINGS DO YOU PHOTOGRAPH IN ONE WEEKEND? Not to brag, but we work really hard on wedding days. We wouldn't voluntarily put ourselves through too many back-to-back weddings. Sometimes, such as with weddings where couples are having different religious ceremonies spread out over different days, we are able to prepare for that. Since we don't shoot on Sundays, we only ever cover one wedding in a weekend. DO YOU PHOTOGRAPH WEDDINGS ON FRIDAYS OR ANY OTHER WEEKDAYS? Yes! We shoot weekday weddings and ceremonies all the time. We don't photograph weddings on Sundays however. Check if we are available on your date by contacting us now! 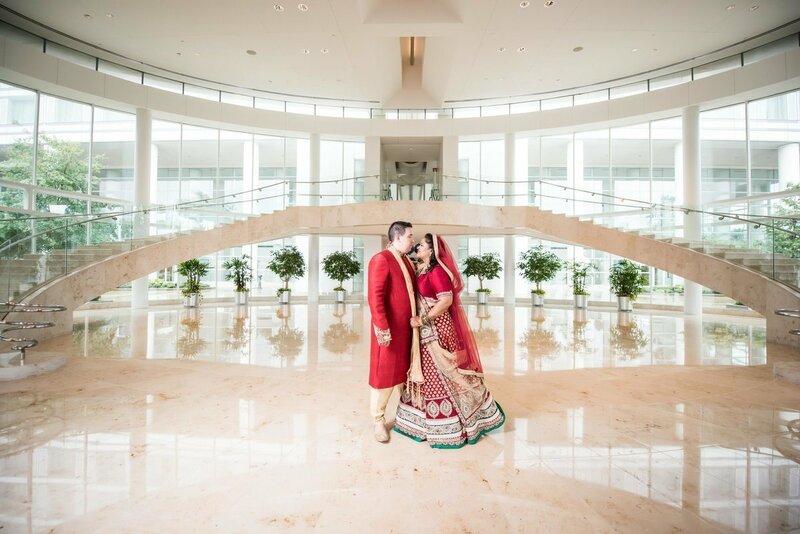 ​IF YOU HAVE NOT WORKED IN MY WEDDING VENUE BEFORE, DO YOU PLAN TO CHECK IT OUT IN ADVANCE? If you select a venue we have not been to before, we plan to come earlier than usual or a day or two before so we are prepared for you. 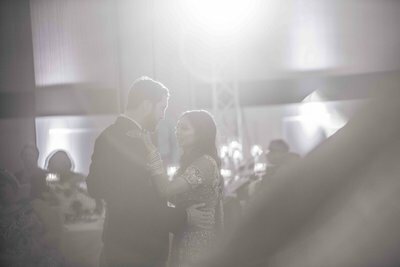 It is important for us to know the quality and quantity of light beforehand, so we would either visit or view images of the inside of the church online or in person so there would be no surprises for us on the wedding day. This is especially true on out-of-state weddings where we require to fly in a day before any wedding event starts so we have ample time to check out the area. WILL YOU BE THE ONE TO REQUEST THE PHOTOGRAPHY GUIDELINES FROM THE CEREMONY AND RECEPTION VENUES OR WILL WE BE IN CHARGE OF THAT? We are familiar with most of the guidelines in most religious limitations as to where we are not to stand and where to stand. We usually do however find the need to do this for on occasion. In our experience not too many photography guidelines besides obvious restrictions such as not standing on sculptures, in flowerbeds, etc. But if you are aware of any guidelines, please let us know and we will follow up with the ceremony venue, officiant, etc for specifications. IF OUR WEDDING SITE IS OUT OF YOUR AREA, DO YOU CHARGE A TRAVEL FEE AND WHAT DOES THAT COVER? The Kansas City Metro area (from Lawrence, KS to Kansas City, MO) is home to us, so we are familiar to the area and do not require traveling fees within this area, however any time we travel beyond that 'home', we do require a traveling fee. Traveling fees may include extensive driving, airfare, lodging, and car rental. Because we travel with quite a bit of gear, taxi companies are not realistic. As long as we are available, we will consider any country or state. Loraine speaks fluent Spanish and Josh speaks Russian in addition to English and are very accustomed and open-minded to different cultures around the world and at home. Contact us to see if we are available to travel to your destination wedding. DO WE NEED A PERMIT TO SHOOT IN LOCATIONS OUTSIDE OF OUR CEREMONIAL AND RECEPTION VENUES? On occasion, our couples would like to shoot in venues that require permits and there also are beautiful locations that are completely off limits. If you want to shoot in a specific location, that may require a permit, the client is responsible for the fee. DO YOU COME TO THE REHEARSAL? It can be included in your package if you want us to come. For weddings where we have not yet met in person (typically for out of state weddings) we make it a goal to meet the bride and groom beforehand. This can be during the rehearsal. 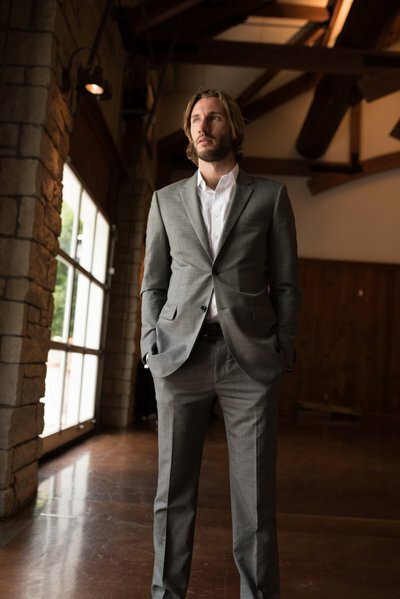 HOW WILL YOU BE DRESSED ON OUR WEDDING DAY? We like to match your guests at weddings. If it is black tie-Josh will wear a suit or tux and Loraine would wear a more formal dress. If it is an Indian wedding, Josh would wear kurtas and Loraine would wear salwars or even a saree if we have time to wrap it! We've noticed that the more we dress like the guests, we get to blend in more. It is less distracting and helps us to get real candids without being noticed. For less formal weddings, Loraine usually wears a formal dark colored dress and Josh dark slacks and a dark button-down shirt. IS IT OK IF OUR GUESTS TAKE PHOTOS WHILE YOU ARE TAKING PHOTOS? Absolutely, but not during formals or excursions with the couple or bridal party. We sometimes take pictures of people taking pictures candidly, however, it can be distracting if they are shooting, stepping into the aisle in our way, or if they are shooting over our shoulders. ​HOW WOULD YOU DESCRIBE YOUR PHOTOGRAPHY ​​​​STYLE? We love to describe our photographic style as timeless, classic, and evocative. We love keeping our style as true to our couples as possible which is why we seem to gravitate couples who would love their pictures for generations and that their grandchildren would fall in love with. We like to use a mix of editorial and photojournalistic styles. Depending on the setting, we use what's most appropriate for the light we have available and the creative vision we're trying to realize. WHAT DO YOU THINK SETS YOU APART FROM THAT OF OTHER PHOTOGRAPHERS? Having two co-photographers is a great advantage to us. That being said we have the advantage of our styles complimenting each other. As a husband and wife team, we have the advantage of relying on the quality and consistency of the other photographer and we don't have to worry about not having the second shooter we wanted for a particular wedding because they weren't available. We are each other's first choice (both in life and in photography ❤) Often when we're going through images to prepare the gallery for our clients, we notice that separately either of our collections of photographs from a given wedding could stand alone and seem complete if not for the fact that for 'getting ready' shots we have Josh cover the groom and groomsmen and Loraine cover the bride and bridesmaids. ​WHICH ONE OF YOU IS THE MAIN SHOOTER AND WHICH IS THE SECOND SHOOTER? We don't see ourselves as first and second shooters, we are a team made up of two equally skilled co-photographers. We like to see that either of us could cover your wedding on our own, so we really are there to support each other in our complimentary creative vision for framing your wedding as beautiful as we can. With that said, we shoot weddings together always. WHO IS YOUR IDEAL CLIENT? We see the value in working with couples who already love our style, personalities, and appreciate our quality of work we provide and our services. Sometimes after sitting down to dinner with a potential bride and groom, we get a strong mutual feeling that they are a perfect fit for us. We usually get a sense of this as our couples talk about how they met, fell in love, met each other's families, and share other details about their lives. We tend to click with couples that are genuinely excited to marry each other, aren't just trying to pacify their parents or follow a tradition. Meet us! 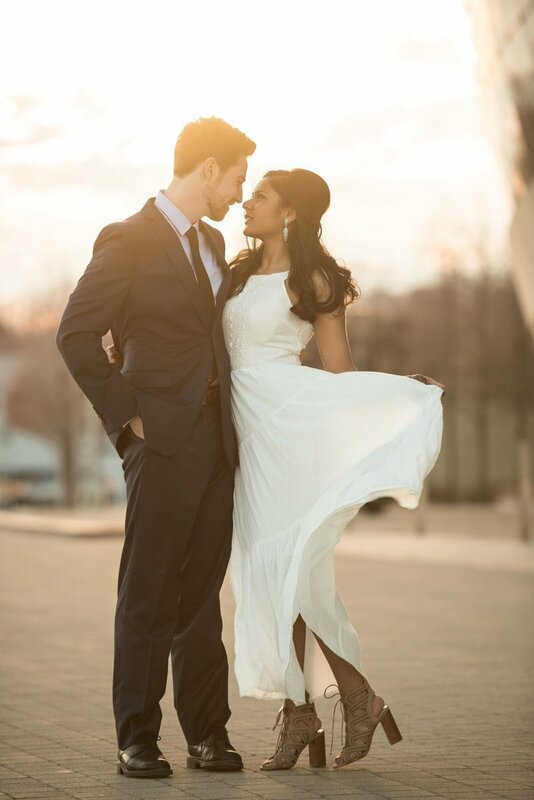 ARE YOU THE PHOTOGRAPHERS THAT WILL SHOOT OUR WEDDING? IF SO, WILL YOU HAVE ANY ASSISTANTS WITH YOU ON OUR WEDDING DAY? We are the only photographers in our business. We will both be there and will only bring assistants if we felt they would be necessary for transporting and setting up equipment. WHAT HAPPENS IF YOU GET ILL? We both are very concerned about nutrition and keeping ourselves healthy so that we can meet the demands of long wedding days. Despite our best efforts, one of us will sometimes catch a bug that's going around, but that has never caused us to miss a wedding in our 9+ years of business. 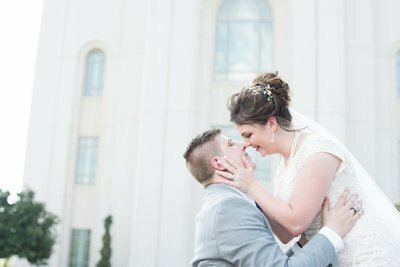 In a situation where one of us has become seriously ill to the point that we would require hospitalization or have some other medical emergency on your wedding day, the other photographer would, of course, be at your wedding and attempt to enlist the help of one of our trusted colleagues. That is one of the good things that comes out of building warm relationships with other photographers in the area. Though we are all technically competing for the same business, it is much more important to us to see our fellow photographers as friends rather than rivals. If we ever feel the need that we would have to hire on a third photographer for your wedding day due to any unforeseen situation, we can do that as well. CAN YOU PUT TOGETHER A SLIDESHOW FOR US? We have done slideshows of engagement pictures as well as pictures our couples have provided from their childhood. This has always been delightful for guests to see. Regardless of whether our couples request this, we always provide a 'same-day edit' slideshow of highlights from the wedding day at the reception. WHAT TYPES OF ALBUMS DO YOU OFFER? We design all of our albums digitally and order lay-flat thick page albums that are flush mount. Albums are included on some of our packages. DO YOU PROVIDE RETOUCHING, COLOR ADJUSTMENT OR OTHER CORRECTIVE SERVICES? We color correct each image that we select for your gallery and retouch the ones selected for printing and for online posts and profiles. WHAT IS THE ORDERING PROCESS? You can order prints directly from the gallery or in person with us at the premiere. At the premiere we offer a 15% discount on all orders. HOW LONG AFTER I ORDER MY PHOTOS/ALBUM WILL I GET THEM? Once you have selected the images to use in the album (this is the lengthiest part in album designing) we ask that you allow 2-3 weeks for design and another 2-3 weeks for delivery after you approve the album proof. We custom design all our albums in house, and with anything handmade, it takes a little time to make it perfect. DO YOU INCLUDE DIGITAL FILES WITH YOUR SERVICES? We do! We set up an online gallery for all our brides that makes it easy to download and share any and all the photos from their weddings. There is no added fee for this. DO YOU COME TO THE REHEARSAL? It can be included to your package if you want us to come. For weddings where we have not yet met in person (typically for out of state weddings) we make it a goal to meet the bride and groom beforehand. This can be during the rehearsal. HOW MANY PICTURES WILL WE RECEIVE? We generally deliver between 50- 100 images for every hour of shooting. It truly depends on the flow of the wedding day. DO WE GET TO PRINT OUR PICTURES ON OUR OWN? We do provide a print release so that you can make your own prints whenever it is required. WILL YOU BE POSTING OUR WEDDING ON YOU SOCIAL MEDIA PLATFORMS (BLOGS, FACEBOOK, INSTAGRAM, ETC)? We make it a habit to share highlights from the weddings we cover on social media, except in cases where for privacy our clients ask that we not do so, in which case we respectfully oblige them. Some of our favorite work shared on social media is also on our website galleries. HOW DO WE GO ABOUT BOOKING YOU? DO YOU HOLD DATES? When our brides decide to hire us, we have them sign our contract and put down 30% of their total. We unfortunately aren't able to hold dates without contract and retainer. WHEN WILL I RECEIVE A WRITTEN CONTRACT? We usually go over the contract in person when we meet to discuss your wedding photography. If at our first meeting you need more time to review the contract (it really isn't very long) we make it available online for convenience. After signing, the contract is also viewable online and will include a pdf version of it available to download. HOW MUCH OF A DEPOSIT DO YOU REQUIRE AND WHEN IS IT DUE? DO YOU OFFER A PAYMENT PLAN? To reserve your wedding date we require 30% as a retainer. We do offer a payment plan for the remaining 70%, which would be due 30 days before your wedding. WHAT IS YOU REFUND/CANCELLATION POLICY? 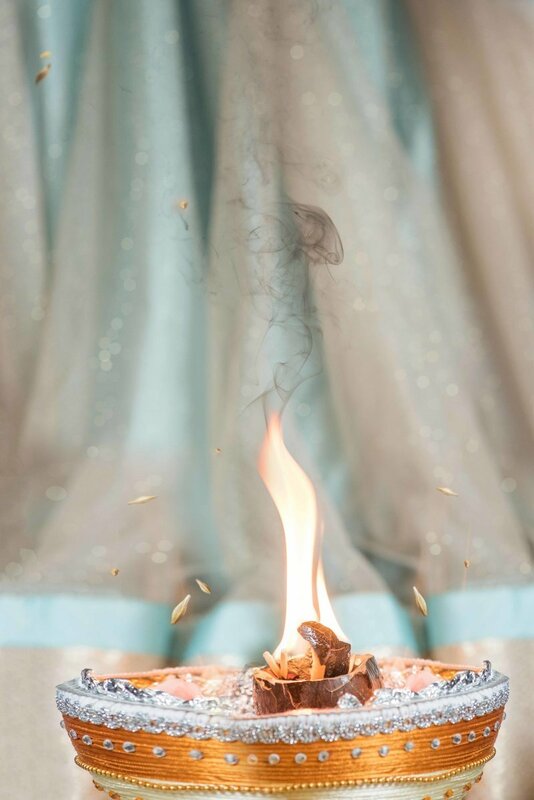 If your wedding is cancelled more than 30 days before your wedding, you would forfeit the retainer (deposit). If your wedding were to be cancelled after you had already paid the remaining balance, the entire balance would be forfeited. The reason for this is by the time your wedding date is so close, we will have already declined requests for our services and will no longer be able to cover a wedding on that date. If your wedding date changes, we can move your date as long as we haven't already booked another wedding for that date. WHAT INFORMATION DO YOU NEED FROM ME BEFORE THE WEDDING DAY? We first would really like to get to know you and your fiancé as people. We want to know the story of how you met, how he proposed, and anything else you'd like to share about yourselves. We feel it is important to get to know our couples. There is something about knowing our brides and grooms are truly in love that inspires our photography and our work ethic. 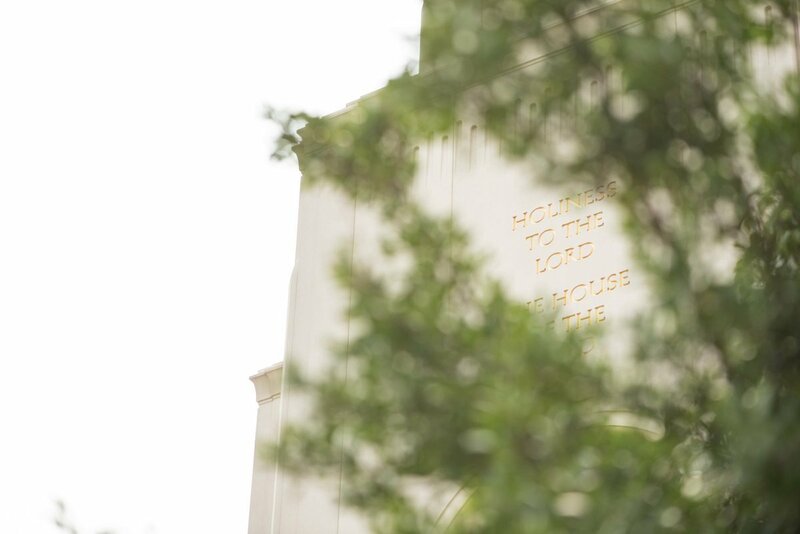 As for details, we have a list of things we need to know that we find out from you during our schedule consultation, such as starting times for ceremony and grand entrance. We take initiative on the details to the degree that we actually help you plan the full schedule for the wedding day so that we know where we need to be, when, for how long, and what the travel time is to the next destination. We really try to help our couples follow the schedule as much as possible. MAY I HAVE A LIST OF REFERENCES? Because we value the privacy and time of our clients (many of whom work in demanding professions) we do not provide their information upon request. Instead, we prefer to invite potential clients to read what our clients have reviewed about us on our website, Facebook page or on Wedding Wire. DO YOU HAVE BACKUP EQUIPMENT? We are totally paranoid about equipment failure (though it's never really happened to a degree that impacted us at a wedding, knock on wood). Because of this, we have backups for our cameras, lenses, memory cards, lights, and other things we don't want hampering our creativity if it should malfunction. On a side note, our years of experience have taught us that there are a few simple things we can bring in a kit that really help when chaos ensues and things tare, gets stained, wrinkled, dropped in a lake, etc. We like to prepare for these 'Murphy's Law' moments as well so our brides don't have to get stressed when little things go wrong. We love saving the day with our emergency kit. DO YOU HAVE LIABILITY INSURANCE? CAN YOU PROVIDE A CERTIFICATE OF INSURANCE FOR MY VENUE? We are covered under a liability insurance policy and can provide a certificate if required. DO WE NEED TO FEED YOU AND ANY ASSISTANTS AT THE RECEPTION? That is entirely up to you. We do technically have a clause in our wedding contract regarding this, we have never enforced it and have sometimes covered weddings where for one reason or another there wasn't time for us eat at the reception. 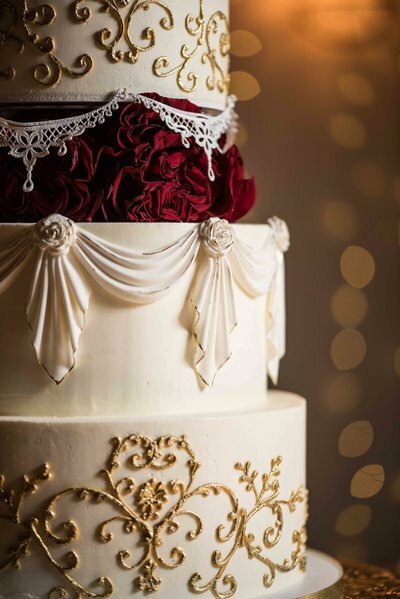 If you're trying to decide which vendors to include in the head count you'll be giving to your caterers, please keep in mind that your wedding photographer will invariably have the longest working day, be on their feet the longest, have to focus their attention the longest, and arguably exercise the most creativity on your wedding day. Also, it is terribly convenient for your photographers to eat when your guests eat as your bridal party and guests will shy away from being photographed while they are eating. WHAT INFORMATION DO YOU NEED FROM ME BEFORE THE WEDDING DAY? HOW FAR IN ADVANCE DO YOU NEED THIS INFORMATION? About 30 days before a wedding, we meet with our brides (over the phone if necessary) to hash out all the details we need to write a schedule for the wedding day. We will ask about things like relationships we need to be sensitive to, such as divorces or deaths in the family in order to avoid bringing up anything that would distract from the pure elation you and your guests will be feeling as they celebrate your wedding. DO YOU HAVE RECOMMENDATIONS OF OTHER WEDDING VENDORS THAT YOU TRUST AND LOVE? We have worked with many qualified and talented wedding professionals from eye catching venues, makeup artists, cake designers, wedding planners, DJs, and many more once we have secured your date in the books, we will have a lot more time to refer you to our list of preferred vendors. Contact us now! During your wedding reception, we will have highlights of your wedding day ready to show to your wedding guests. We even have a projector and screen as a back up in case your venue doe not have a projector set up of their own. It is a hit in all our full day weddings! 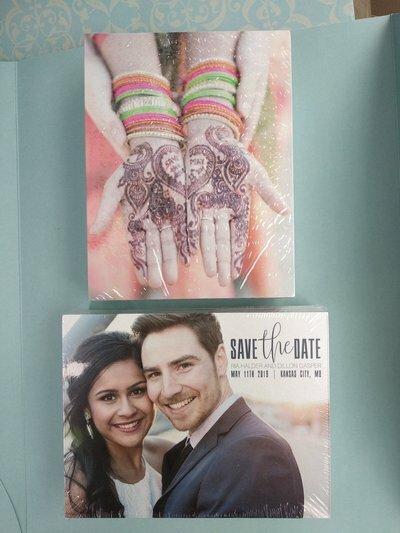 We can help you design, proof, and print off your save-the-dates for your wedding. After your engagement session we will help you choose pictures that would look great for the Save-the-Dates and then design them. Once the design is finalized and you have sent me your guest count on a spread sheet, we'll place the order and we will make the delivery! If you decide to not have a videographer for your wedding, we can record your toasts, and possibly other key moments of your wedding. 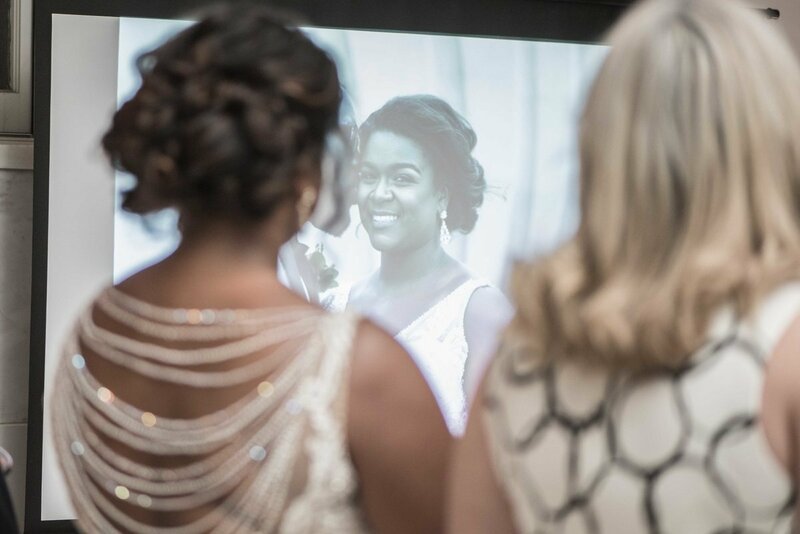 Although we do not advertise solely as videographers, there are key moments you can have us capture footage during your wedding day. 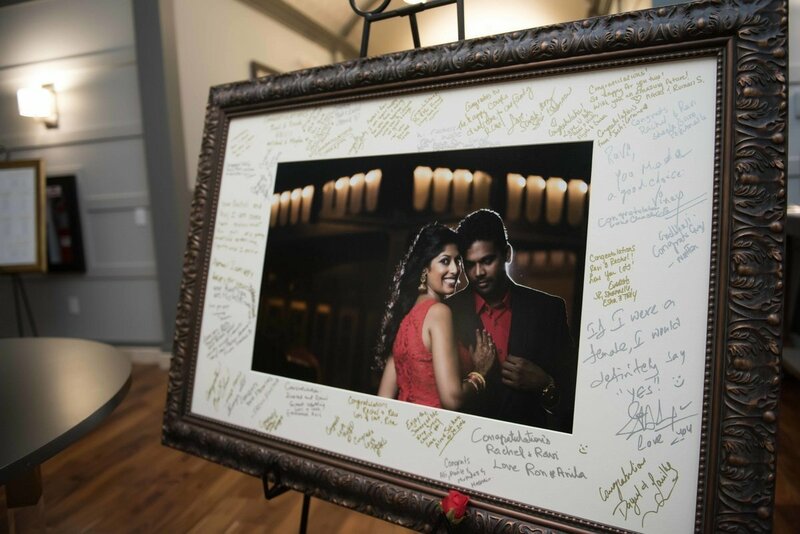 We can create a gorgeous over-sized signature frame for your wedding and even supply the easel to hold it. 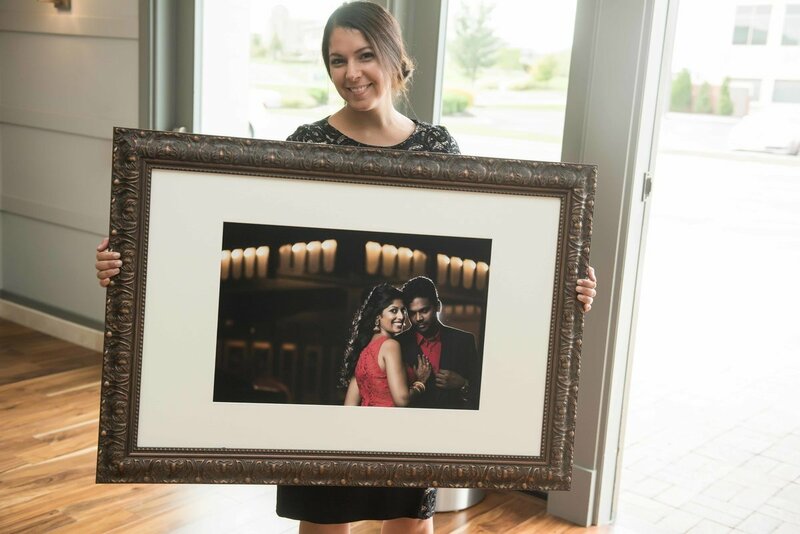 These gorgeous frames will not only accentuate your wedding reception with a picture from your engagement session but it will also become a centerpiece holding the signatures of your guests from your wedding day. If we are unavailable for your wedding date, but you still would love to have a Mojica experience, we can take your engagement session. Each session includes both Josh and Loraine, and your digital collection of skillfully enhanced images. Most couples like to spend an average of $5500 with quality of work we provide. Because each couple has their specific needs contact us to help you create a custom package. 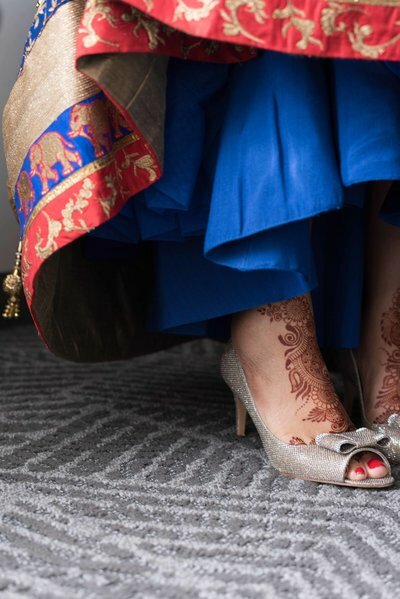 Each and every desi-wedding is completely unique, some need us for the haldi ceremony, others want us to start during the mehendi or sangeet night, regardless most of our multi-day packages include an unlimited ceremonial & reception day. Contact us for more details. Most Kansas City LDS Temple sealings come from out of town and only last the temple exit. These temple exits start at $400 and typically last 90 minutes. In most cases both Josh and Loraine will be present, but depending on the time of the day, and availability you may customize a package with just Loraine. Your Wedding Premiere with Friends and family. We're thankful and humbled when our work is featured on blogs and in print. Steps to take to have Mojica Photography take part of your wedding day journey!